A new patio door installation opens up any home to the backyard as well as letting more light in. We offer a variety of styles and configurations to bring a new look into your home and opening you up to the outside. The unimpeded exterior view and convenient access to your backyard are two of the most important features. Modern patio doors do not suffer the same heat loss issues as their predecessors so you can count on the security and insulating benefits. If security is a big concern for you then you can even get one with a multi-locking mechanism to offer improved security. It’s important to take many options into consideration before selecting what you want to have permanently installed in your home. 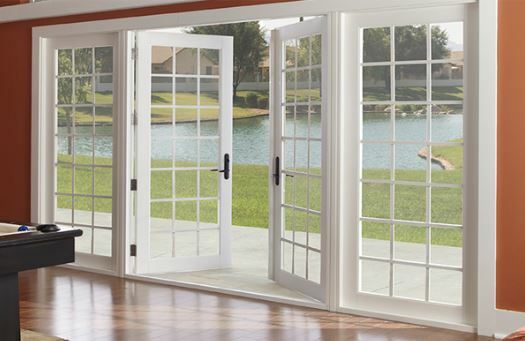 There are various options available for home patio doors and we will help make it easy for you. We will go over the options and features with you to ensure you make the best choice and get what you want. Sliding Doors are the ones that really open up your home with a sliding glass insert and other stationary pane, opening up your home and making it easy for you to choose a patio door that meets your needs. Swinging doors are similar to other exterior doors but feature glass panels. These accordion-like doors can fold neatly and offer a more unique style. We love helping people make improvements to their home. If you are considering a new patio door installation then you can count on Beckworth LLC to do a stellar job for you. We are dedicated to providing the best options, professional service and amazing results. Contact us today for a free quote or help with a new patio door.